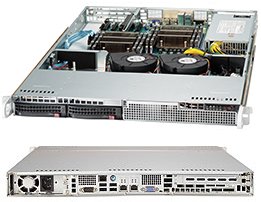 Supermicro servers with 2 x (Intel Xeon E5-2630 v2 @ 2.60GHz), 256GB of RAM, and 2 x 512GB SSD deployed in Q4 2014. A few are on HP ProLiant 360p G8 with 192 GB RAM and 8x HDD RAID-10 deployed in Q4 2012. We continuously migrate old instances to new servers as part of our promise to always pass on the benefits of any upgrades to all our customers rather than only to new ones. Our servers are co-located in long-established, Tier-3 data centers, compliant with ANSI/TIA-942. 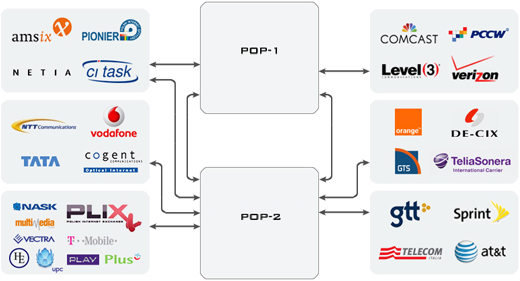 A modern high-speed network, the network used by our data centres has the topology of many rings. In case of equipment failure or interruption of any connection (eg. broken optic fiber) traffic is automatically switched to the alternative route. With excellent connections with other networks, open and proactive peering policy and peering with operators from neighbouring countries. there were only 2 planned maintenance downtimes, 4 hours long each, which resulted in 99.9 availability. 24/7 automated monitoring and alerting systems (on separate servers of course) keep an eye on your application instances. Support is notified whenever a failure of any instance is detected. As of 2014 any downtime, being it planned or unplanned, is included in the numbers above. We perform daily backups of files and databases. Backups are sent to a separate physical server in a physically different data center and they are kept for 7 days (rolling window). There are no more than four maintenance downtimes a year and on average only 2/year. They are planned up-front, performed during the Saturday nights (Europe time) and last no more than 4 hours. We give our customers considerable notice about any planned downtime via both direct email and social channels.